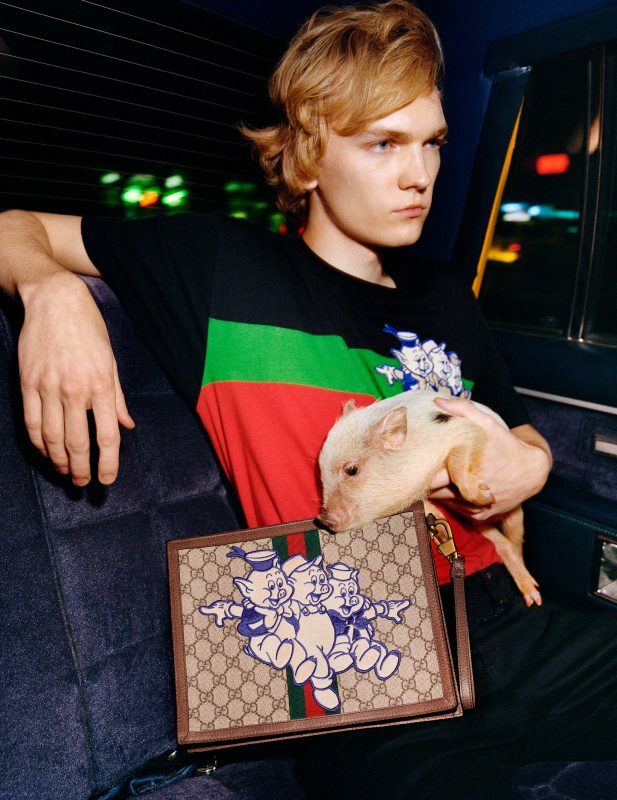 If you didn’t already know, Chinese Zodiac sign of the Pig represents the Chinese Lunar year of 2019 – and Gucci is celebrating it with a dedicated collection of 35 special items. Whether with one protagonist designed by the Maison or with the Walt Disney cartoon characters from the 1933 The Three Little Pigs, the animals can be found decorating an array of pieces that has been created for the collection. For instance, the Gucci designed character adorns vibrant coloured pyjamas, an intarsia knitwear piece, T-shirt and sweatshirts as well as scarves, beanies and socks for women, and knitted cardigan and T-shirts for men. 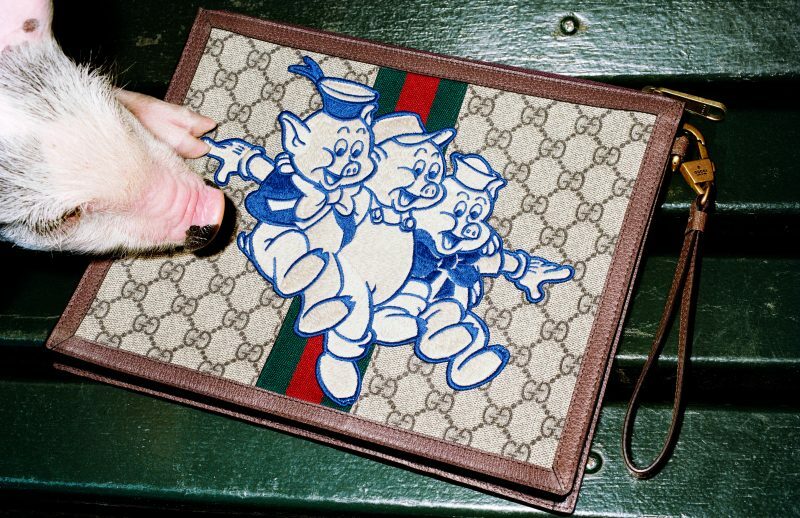 The Walt Disney The Three Little Pigs, instead, appear on patches embellishing ACE sneakers and Gucci Supreme backpacks, tote bags and wallets, and also on a women’s loose denim shirt, men’s shirts and a lightweight blouson. In addition, the original Disney poster has been printed on a white cotton T-shirt and woven on a sweater. To round up the collection, an eyewear has also been created, reinterpreting one of the Maison’s hexagonal shapes in a red shade, a watch with The Three Little Pigs on its dial, not to mention – as an adynaton says: pigs might fly – two brooches and one cuff bracelet jewellery pieces featuring a pig with wings. Available at Gucci’s digital channels and in selected Gucci stores worldwide. For more information, visit here.